Some of you may be wondering how four guys who live so far apart can still make music. 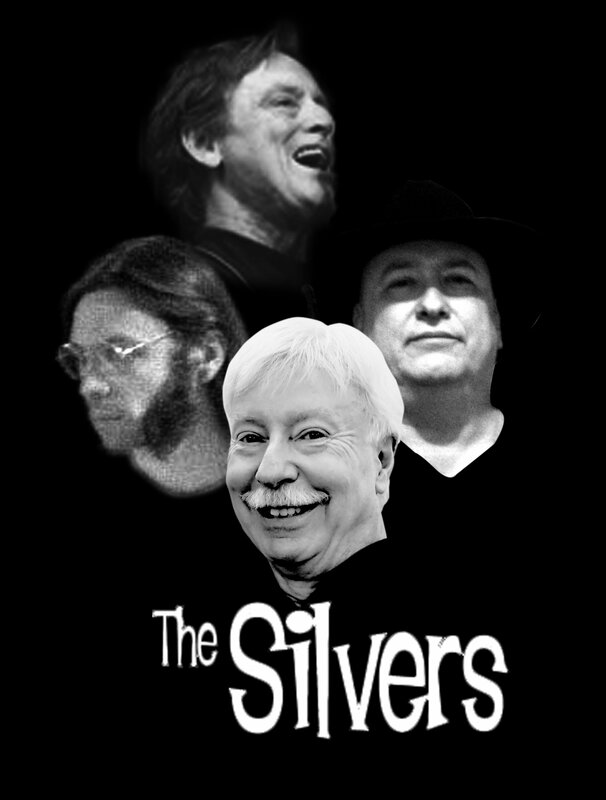 The Silvers are doing something very original as a “virtual” band. We’ve never played together nor have we all been in the same room at the same time! So here’s how we do it. To start with, someone brings a song. Usually that person has an idea of how it should sound, so he lays down a DEMO. This usually involves recording the tune along with a metronome or drum machine. In my case, for the DEMO, I use “Ringo”, the drum machine Ken and I had accompany us during our Double Shot days. This sets the tempo and relative drum beat of the song. Usually I first record “Ringo” the length of the intended arrangement. Second I record the chords. Thirdly comes the bass line. Lately, I have been trying to put in the part I want to use in the final mix so the track can easily be exported for our engineer, Kevin, who lives in South Carolina! The rest of the tracks are used for vocals (if I am singing lead) and/or any backups we think we will need. This is mixed down for the DEMO to put up on Dropbox for Glenn to retrieve and lay down his drum part. The other composers use roughly the same process. To sum it up, each of us then records our tracks against a rough mix of the final drums along with the DEMO in the background to give us each the context of the composition. As tracks are laid down, Kevin works them into a rough mix and gives it to the next guy. That’s how it’s done when Ricky lives in the Atlanta area, Glenn on one side of Wisconsin, Tom on the other, me out here in California and Kevin in South Carolina. Whew! I’m exhausted just talking about it! Our album is coming together nicely. Half of the record’s 14 songs are complete, and 5 are well into the process. The DEMO is done for 1 of the last tunes and is waiting for the drum tracks with 1 last composition to be arranged. A very interesting approach to music creation.